To answer the title question effectively requires more than the citing of a few texts; we must first acknowledge that the way to the answer is more difficult than it appears and recognize that the answer may be less straightforward than many would like. 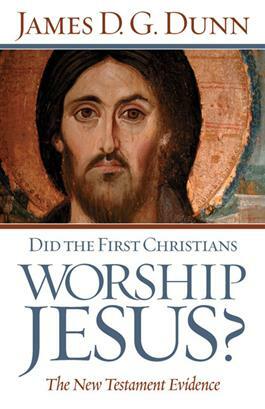 The author raises some fascinating yet vexing questions: What is worship? Is the fact that worship is offered to God (or a god) what defines him (or her) as "G/god?" What does the act of worship actually involve? The conviction that God exalted Jesus to his right hand obviously is central to Christian recognition of the divine status of Jesus. But what did that mean for the first Christians as they sought to reconcile God's status and that of the human Jesus? Perhaps the worship of Jesus was not an alternative to worship of God but another way of worshiping God. The questions are challenging but readers are ably guided by James Dunn, one of the world's top New Testament scholars.